The Collection Honolulu was developed by Alexander & Baldwin who also developed a similar project in Kakaako called Waihonua. The Collection is a very unique project because it offers three different types of products for buyers to choose from. 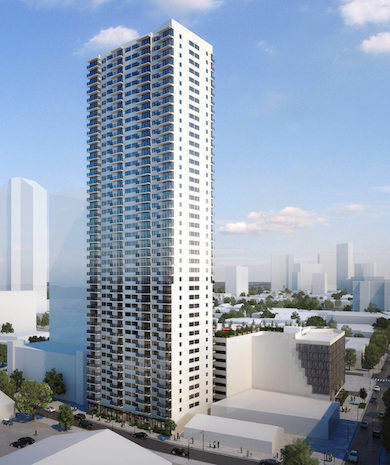 You have the main high-rise tower which is going to be pretty similar to most of what Kakaako already has to offer, a mid-rise section that will be mostly studios with a few two-bedroom floor plans, and townhouses which are very large with an entrance right off the street and attached two car private garage. With all these different offerings, it’s no wonder they chose the name, The Collection. The mid-rise studios offers a great price point for first time home buyers looking to get into the neighborhood. Units were initially offered in the mid $300,000 range. The townhomes are close to 3,000 square feet and span four stories. This is an excellent option for those looking for a lot space in the heart of Kakaako. The amenity deck at The Collection is one of my personal favorites in all of Kakaako. Although it isn't a huge amenity deck compared to other projects in Kakaako, it is one of the most functional. You have three BBQ cabanas that are fully covered and very private for family and friends to get together. The pool looks out over Honolulu Harbor with two jacuzzis to choose from. The landscaping makes the deck space feel like an oasis in the middle of the city. There are three pool side cabanas along with ample lounge chairs perfect for getting your tan on. Along with bike and surfboard storage there is a recreation room with a full size kitchen and flat screen TV for sports or movies. 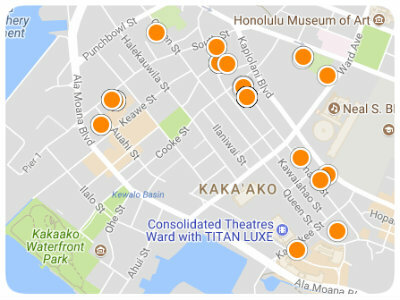 The Collection Honolulu sits on the west end of Kakaako a few minutes walk from the future Civic Rail Station. Across the street from the project is SALT, a 85,000 square feet city block with retail, restaurants, boutiques, and curators. SALT is a mix of newly renovated buildings and brand new construction which offers a great mix old and new architecture. Kakaako waterfront park is nearby which is perfect for picnics and sunset walks. The residences in the tower will all feature contemporary kitchens with Kohler stainless-steal deep rectangular sinks, Grohe contemporary faucets, built-in microwave ovens, and low-maintenance quartz counter tops. 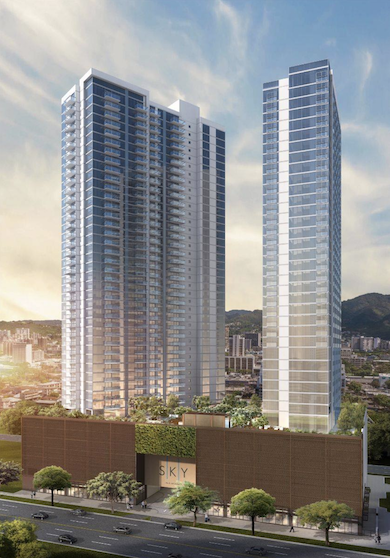 Floor to ceiling windows is expected with condominiums in Kakaako today and The Collection tower units will also have this feature. Low-e glass is a coating on the floor to ceiling glass that helps reflect heat from the sun entering the unit, this will help keep your unit cool which translates into a lower energy costs. Please enjoy the video tours of The Collection Lofts, Townhomes, and the main Tower. Our Market Report is a list of all currently active and in-escrow properties at The Collection along with a list of every sold property in the last six months. If you currently own in the building or you'd like to keep tabs on this project, the Market Report is the best way to do so.